jobsinjapan.com: I Search Worldwide K.K. 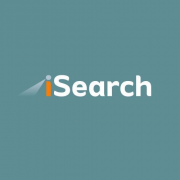 iSearch Worldwide K.K. was established in Japan in 2004 and is licensed as a recruiting firm by the Ministry of Health, Labor and Welfare. We specialize in recruiting Japanese/English bilingual staff, managers, and executives for the Automotive Engineering, Consumer Goods, E-Commerce (including Direct Response and Direct Marketing), Insurance, Manufacturing and Technology industries. We take pride in providing the highest quality of service and strive to present the most qualified candidates for our clients’ positions. As a Japan based company our unique processes, coupled with our in-depth experience and professional knowledge, ensures success for your recruiting needs in Japan. Our client and candidate matching technology is proprietary and has the highest success ratio per introduction of any firm in the market. Jobs by I Search Worldwide K.K.